Partners in Caring is now the Arnprior Regional Health Foundation. Our board of directors has completed the final steps to change the name. The new name better reflects our association with Arnprior Regional Health, the corporation that oversees the Arnprior Hospital, The Grove Nursing Home, The Primary Health Care Center and Community Based Services. 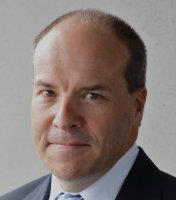 Bruce Hill, our Executive Director, joined the Arnprior Regional Health Foundation in April of last year and is responsible for advancing the charitable giving and communication mandates of the organization. Bruce brings a wealth of experience to the table and has been busy making community connections. 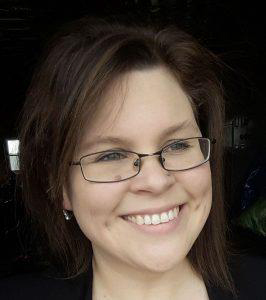 Christine Waite is an Arnprior resident who joined our team in the fall of 2017. She is a familiar face at Arnprior Regional Health where she has worked over the past six years. Christine is now our Administrator and can be found in our foundation office. She looks forward to your visits, please stop by! Exciting news! 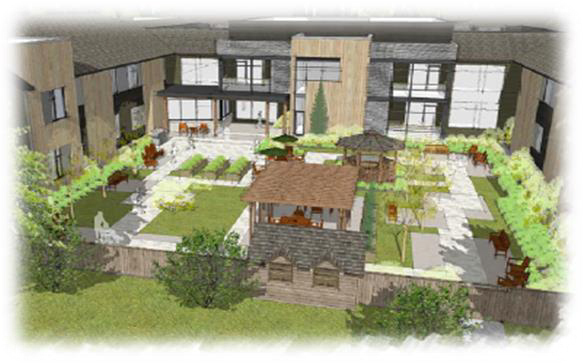 The Provincial Government has approved the expansion of the Grove Nursing Home from 60 to 96 long term care beds. This $24 million project will be partially funded by the government with the Arnprior Regional Health Foundation working with our local community to raise $5 million ($4 million is needed for the Grove and $1 million for Hospital and Grove medical equipment). More news will follow in the months ahead. Hospital beds are much different from the ones we have at home. These beds have special features for comfort & well-being of the patient and for the convenience of health care workers. These new vital signs monitors offer new technology that can be customized to meet specific patient needs. They are easier to use and more reliable, making it more efficient for staff and better for patients. A cystoscope is a thin tube with a camera and light on the end. It is used to visualize the inside of the bladder. Physicians can see magnified camera images on a screen. These images can reveal issues like blood in the urine, urinary tract infections and cancer. It’s a common misconception that the government pays for new medical equipment at our hospital and nursing home. They don’t! Each year the Foundation fundraises to help Arnprior Regional Health purchase new equipment. Your gift helps fund these purchases. Miche McKenna has been a loyal donor to the Arnprior Regional Health Foundation since 2007. 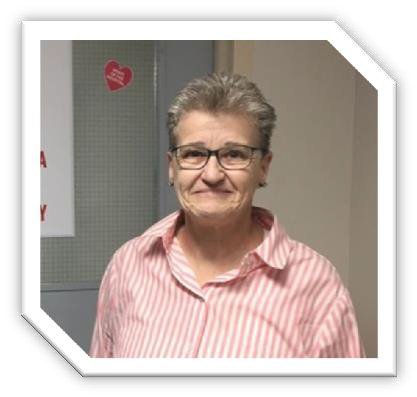 She often tells her friends and neighbours about our wonderful hospital and the great care she received, first from the late Dr. Jose Gutauskus and currently from his daughter, Dr. Andrea Gutauskas. Miche loves the proximity of the hospital to her home in Kinburn and the number of specialists she and her husband have access to. THANK YOU MICHE! 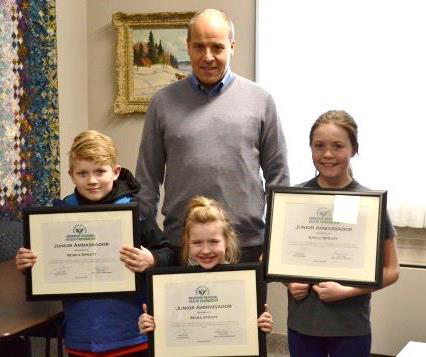 The Spratt children are the inaugural recipients of the Junior Ambassadors Program. It encourages friends of the Hospital and Grove Nursing Home to raise awareness and money for both organizations. Here are Nowle, Mara and Aayla with Executive Director Bruce Hill. Eldest daughter Aayla held a “Donation for Donation Party” and her younger brother, Nowle and sister, Mara, followed suit. The Spratt children asked that the $370 they raised be put toward the purchase of a new hospital bed. 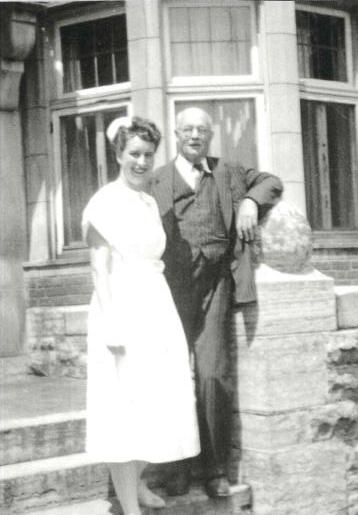 In 2020, the Hospital will celebrate its 75th anniversary. We are looking for volunteers to organize archival materials and to help plan the celebrations. Please contact Christine Waite at 613-623-3166 Ext. 362 for more information. Thank you to all of the individuals and companies whose donations helped us raise $36,355. 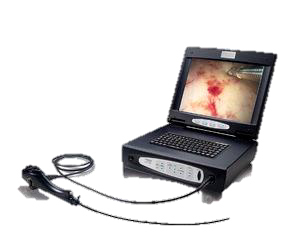 These monies will partially fund the purchase of a new cystoscope ($12,500) used to assess bladder issues and a gastroscope ($40,000) which helps physicians visualize the upper section of the gastrointestinal tract. When Larry Stashick’s wife, Penny, suddenly passed away from cancer last year, he and his family decided to raise money in her memory for the Arnprior Regional Health Foundation. $1,000 was raised to fund a vital sign monitor. The family is planning an annual “Ugly Christmas Sweater Run/Walk” in December to do more in Penny’s memory. Your Arnprior Regional Health Foundation was founded in 2005. Our mandate is to raise funds to support equipment and construction needs at the Hospital and Grove Nursing Home. Governed by ten volunteers, we serve a catchment area of over 30,000 residents from Pakenham to McNab-Braeside. 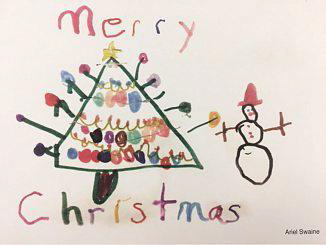 Please consider a gift to ensure we continue to provide quality healthcare. 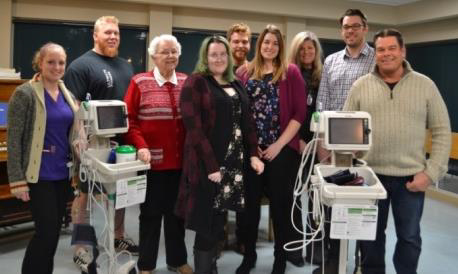 There are many ways to support the Arnprior Regional Health Foundation to ensure cutting edge medical equipment is available now and in the future for the Hospital and Grove Nursing Home. By considering a legacy (or planned) gift you can preserve your assets and lifestyle while committing to a larger gift on your passing. For more information consult your financial advisor or lawyer or call the foundation office. Like and Follow the Arnprior Regional Health Foundation Facebook page to learn more about us and stay informed!